Boutique gyms has over 20 years’ experience in the fitness industry. Our visits to hundreds of gyms throughout the UK, and overseas, and vast expertise in gym design and fitness equipment, stand us in good stead to help you make your mark on the gym scene. We receive thousands of enquiries every year from personal trainers and aspiring gym owners, and therefore have a good understanding of what you would like to know. We don’t profess to have all the solutions, but our tips could enable you to put your best foot forward. This may seem rather obvious, but not all prospective gym owners have the best plan in place. Setting up a gym requires a great deal of time and patience and could take about a year to plan. Remember these three key questions; Why am I embarking on my own fitness venture? What kind of facility do I want to operate? Who are my clients? To be able to share your vision, you will need to have that clear in your own mind. You should know how much you are willing to invest in your dream facility, in terms of both time and money, and recognise the challenges involved. Try to do as much market research as possible. Visit your local competitors, talk to the experts and focus on creating a unique service. A realistic and thorough business plan is essential. 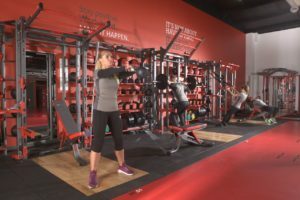 Equipping a new gym can cost around £20,000 for a small PT studio, and £60,000 + for a facility with a more comprehensive range of equipment. Budget sensibly, seek out trustworthy creditors and always have some revenue in reserve for those extra costs you may not have accounted for. By exploring all your options you may be able to secure a more prudent investment. Why not consider becoming a franchisee with an already well-established chain? Remember that your equipment doesn’t have to be brand spanking new, and that there is some incredible remanufactured kit on the market. Boutique gyms recommends taking out an operating lease plan on the latest equipment. There are many advantages to leasing, such as corporate tax benefits and superb maintenance inclusive agreements. Lease rental is 100% tax deductible, and all payments made for equipment are written off against the customer’s tax bill. There are certainly fewer risks incurred than buying equipment outright, which quickly becomes a depreciating asset. Choice of location is integral to the success of your new gym. Your site should be close to residential and office hubs, but not too near direct competitors. Remember that the regular gym goer is prepared to travel around 4 miles from home, and that longer distances significantly affect your members’ commitment to exercise. It is important to avoid setting up shop adjacent to businesses that will conflict with your ethos, for example it may not be the wisest decision to operate alongside a fast food restaurant or e-cigarette supplier. In selecting your ideal location, be sure to consider your neighbours. Be wary of how noise will travel and carry out acoustic tests if you have any concerns. A venue with good lighting and high ceilings is preferable. It needs to suitable for the type of gym you have in mind, and large enough for you to deliver your chosen activities safely. Do check that the walls and flooring are fit for purpose, and strong enough to hold mounted equipment. It is worth investing in quality 3D design technology to bring your ideas to life. It can revolutionise your appeal and revenue potential. The layout of your fitness space needs to work for you, your staff and your clients. Effective design will enable your trainers and members to work out in comfort and safety, and will inspire them to achieve their goals. Boutique gyms offers an excellent gym design service, and can testify to the importance of planning layout, equipment and storage solutions. It is crucial to map out workout zones, particularly in multi-faceted gyms, and consider how your gym will be used on a day-to-day basis. It must be practical, comfortable and uncluttered, regardless of the size and shape of your space. Consider the superb range of multi-purpose space-saving functional training equipment on the market, such as Training Wall®. Gym design is not just about practicalities, but about taking opportunities for thrilling creativity. It is where you get to create the look and feel you have been dreaming of, with stylish colours, branding and accessories. Many new gym owners now opt for a nightclub ambiance with coloured strip lighting or neon glowing features that match their brand colours. If this is your preferred style, do make sure that your walls, ceilings and even floors can accommodate the electrical requirements safely, without generating extra heat in your finished space. Your staff are your most valuable asset. It goes without saying that they will need to have all the necessary certification and be qualified to the highest level. Most gym clients now expect exceptional instruction and support to enable them to reach their fitness destination. The latest boutique gyms boast the crème de la crème of personal trainers, and though your facility may not achieve metropolitan, celebrity status, you should aim for the same standard. Your employees should share your passion for fitness and be able to convey that to the clientele. Whether cleaning toilets, greeting on reception, or leading high intensity interval training classes, every one of your team members should be affable, charismatic and an ultimate professional. High quality, innovative equipment creates immediate vibrancy and will set you apart from your competition. Wall mounted and multi-functional compact stations maximise space and enable you to get the most out of every square metre. Be sure to select equipment that is best suited to your type of facility and the classes you intend to offer. Fresh and funky kit is great, as is the trusty, tried and tested. Aim for a good balance and never compromise on quality. It is vital that you get to know your demographics to gain your local market share, and your starting point will of course be online. How will you stand out from the crowd? Your website should be exciting, user-friendly and always up-to-date. Social media platforms play a huge role in retaining and attracting new clients. Content, in the form of images, videos, case studies and stories, needs to be informative and captivating, and reviews and testimonials are essential for building up a trusted reputation. If you are planning an amazing launch event, make sure you shout about it from the rooftops so that the message reaches far and wide to your target audience. At Boutique gyms we have come across many facilities where suitable flooring and acoustic solutions have not been given sufficient consideration, and so we feel it necessary to make a special mention of these. It is saddening to see gyms where a small fortune has been spent on expensive equipment, but where flooring has proved inadequate, particularly in free weights areas. Floor tiles need to be of suitable thickness, robust, non-slip and ideally compliment the aesthetics of your gym. There are many companies that offer specialist advice and the finest bespoke gym flooring solutions. Gyms tend to be noisy places, and overlooking the acoustics of your site could be troublesome for you and your neighbours. It is advisable to carry out careful research on how to minimise noise for both your gym users and other facilities sharing your building. If you opt for an upper level space, be mindful of noise travelling downstairs. Again, high impact flooring in free weights zones is an absolute must. There are specialists who can perform thorough noise and vibration surveys to put your mind at ease. They offer a consultancy service, along with bespoke manufacture, material supply and installation. When setting up your gym, it is important to remember that customer retention is key. You should aim to create a training haven that your members simply cannot live without. For this you will need some unique features that will enhance the customer experience, as well as generate additional revenue. Quality showers and lockers are always greatly appreciated, though surprisingly not always available in some gyms. Consider leasing space to trainers and physiotherapists and providing massage and spa services. Cafés and juice bars offer attractive social spaces, and boutiques selling gym kit essentials and nutritional supplements are desirable. Relish these opportunities to partner up with local companies and grow your brand through further marketing opportunities these amenities bring to your business. Many gym owners would say that keeping up is far more challenging than starting up. Once you have launched your gym, you should never rest on your laurels. Think with your client’s hat on and always be on the lookout for ways to maintain and improve standards. Service and treat your expensive cardio equipment in the same way you would a new car as repairs can be costly. It is wise check the warranty you have with your new or remanufactured equipment, and discuss service and maintenance contracts with your supplier. Optimum cleanliness is essential and, should hygiene levels start to slip, your members will be the first to notice, and protest. Be sure to keep equipment, changing rooms, lockers, wipe dispensers and bins sparkling, and involve your clients in the process. Your new baby is, after all, their new baby too, and should be loved and nurtured! Looking to create your perfect gym?